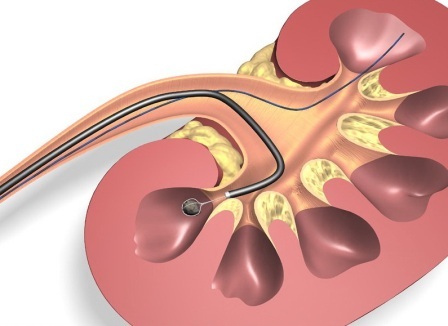 Arise disease complications in patients with kidney stones can be caused due to kidney stones themselves or due to the treatment of kidney stone treatment. The stones formed in the kidney vary in size, ranging from as big as sand to gravel or larger. Stone surfaces also vary. Some types of kidney stones have smooth surfaces, while others have uneven surfaces. Large stones can irritate the urinary tract when it passes through the kidney stones. Kidney stones can also be caught in the urinary tract and block the flow of urine so that the risk of kidney infection (pyelonephritis) will increase. Infection of the kidneys can result in the spread of bacteria and other microorganisms into the blood. In addition, kidney stones can also cause permanent damage to the kidneys. Sepsis. Bacteria and microorganisms found in the kidneys can pass into the bloodstream and cause infection. Symptoms will arise throughout the body. Read too: How to Treatment Of Kidney Stones.